WATERCOLOR FUN EASTER BUNNIES - 8 ELEMENTS! 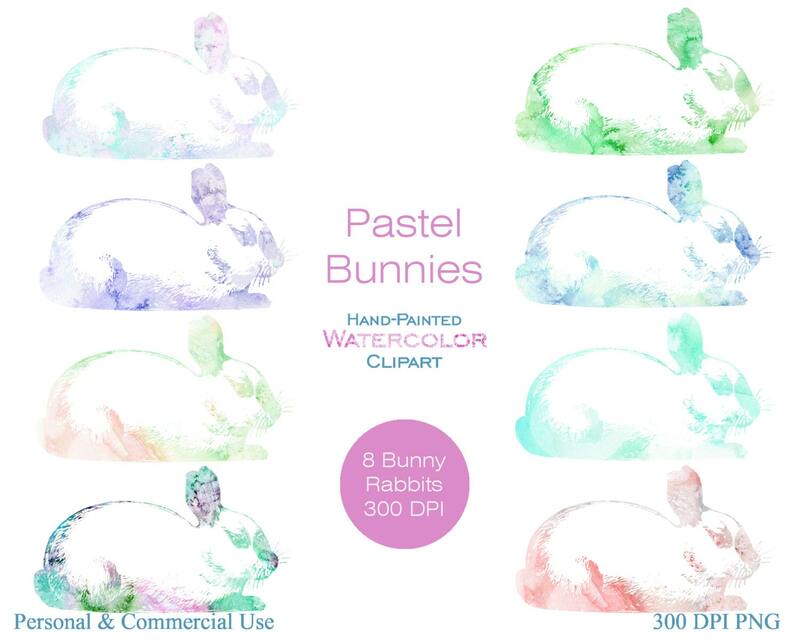 HAND-PAINTED Watercolor Textures CLIPART Set- 8 PASTEL WATERCOLOR RABBITS - ALL Hand-Painted WATERCOLOR TEXTURES BUNNY CLIP ART ILLUSTRATIONS- Have fun creating with this set of WATERCOLOR RABBITS! 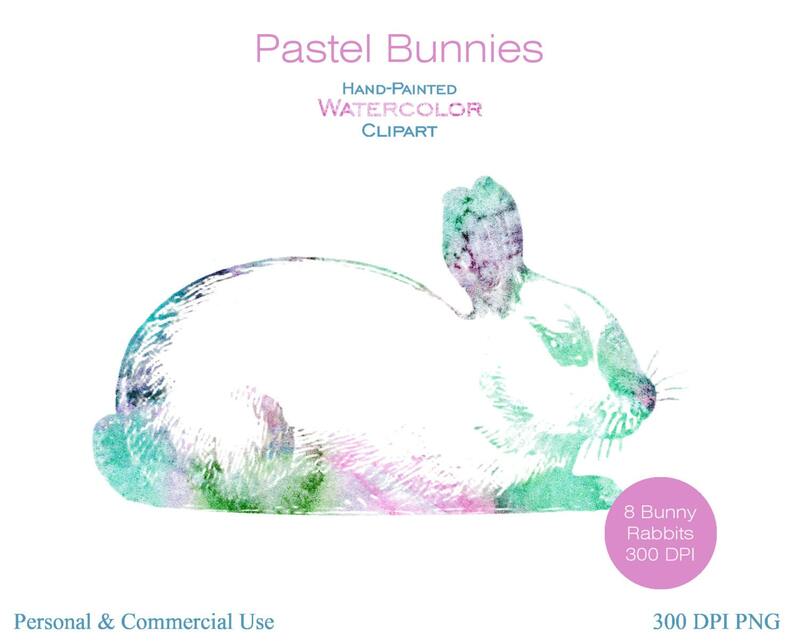 Large high quality digital Images of WATERCOLOR RABBITS. Printable Graphics for iron on transfers, Websites, Crafts, Cards, Invitations, and more. All images are large, High quality 300 DPI png files. -License for commercial use: If you have a small or home-based business, you can use any of the images you purchase in my shop in and on your products to sell up to 500 copies sold, from any one graphic or graphic set.